I remember some of the nightmares that I had in the weeks leading up to the bar exam. Like many of you, I worried about all of the things that could go wrong before or during the exam. What if I forgot my pencils on the day of the MBE? What if my computer crashed on the first essay question? (I had heard a rumor that someone had failed the prior bar exam after freaking out when his computer crashed—the story was that, by the time he got himself back together, he didn’t have enough time to finish several of the essays.) What if my car broke down on the way to the exam, and they didn’t let me take it because I arrived after it started? What if I looked at the first essay question and realized that I hadn’t studied that law? What if . . . ? What if . . . ? What if . . . ? You get the point. Some of the things that I worried about were a little silly, and other things, while highly unlikely, could have affected my performance on the bar exam if they had actually happened. My focus on these worries, regardless of their validity, increased my stress in the days leading up to the exam and absorbed energy and focus that could have been better spent on other things. The key to reducing your stress so that you can stay focused on what’s important, especially in the final days leading up to the bar exam, is planning. Many of the things we worry about can be avoided by planning in advance, and other problems can be mitigated by having an action plan in place before anything even happens. So how can you do this? 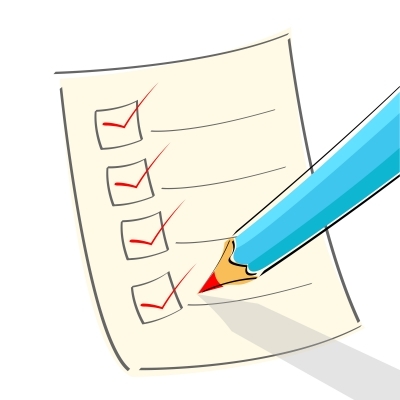 Advanced Planning for Exam Rules: First, review all communications (letters, emails, etc.) that you have received from the bar examiners. Make sure that you are familiar with the rules going into the exam, and create any necessary plans so that you won’t be in violation of those rules at the last minute. (Those rules are often available on the bar examiners’ website as well.) Review what you are allowed to bring into the exam with you, and get things ready in advance so that you are not scrambling at the last minute. For example, Georgia only allows you to bring black ink pens in for the essay day, and pencils for the MBE day. Many states will not allow you to use mechanical pencils (although some states do). There often will not be a pencil sharpener on site, so you will need to make sure your pencils are sharpened in advance. Some states require you to put personal items in a clear plastic ziplock bag. Look for dress codes as well—some states may not allow hooded sweatshirts (concerns about hiding things in the hood), while others may ban flip-flops (because of the noise they make when you walk). Each state has a detailed list of what is allowed and what is prohibited, and you don’t want to be surprised by any of these requirements on the day of the exam. Advanced Planning for Getting to the Exam: Second, create a plan for how you will get to the exam each morning, making sure to allow a significant time buffer. If you have not previously been to the bar exam location, do a test run in the days before the exam. If possible, do it during the same time of day that you will be traveling on the morning of the exam so that you have a good idea of how long the trip will normally take. If you are driving, scope out your parking options—and don’t forget that, on exam days, you and every other bar examinee will be arriving and parking at about the same time. Advanced Planning for Taking the Exam: Finally, identify your worst case scenarios for what might happen during the exam and create an action plan for what you will do if any of those scenarios happens. For example, if your fear is that your computer will crash during the exam, then decide right now what you will do if it happens. Decide that you are prepared to hand write if necessary (actually, that is what most bar examiners will actually tell you to do anyhow). Think about how you will approach the exam at that point. Creating an action plan in advance allows you to let go of that worry—you know what you will do if it happens, so why worry more about it now. Moreover, if the worst-case scenario actually does happen, you won’t waste any time figuring out what to do at that point. Instead, you will just start acting on the plan and continue focusing on what you need to be successful on the exam. You can take a similar approach to another worst-case scenario that many bar examinees fear: getting an essay question that you don’t know what to do with. Once again, a plan of attack can help you get through this situation without panic. For example, you could create a multi-step plan for attacking the question: (1) identify the area(s) of law tested by the question (i.e., property, torts, professional responsibility, etc. ); (2) identify the issues and sub-issues that the question asks you to address (usually set out specifically in most questions); (3) create a quick chart with a row for each issue and space to list relevant facts for that issue; and (4) start pulling out and organizing those relevant facts. As you go through this process, it will help you to focus on what you do know rather than what you don’t know, allowing you to avoid panicking. 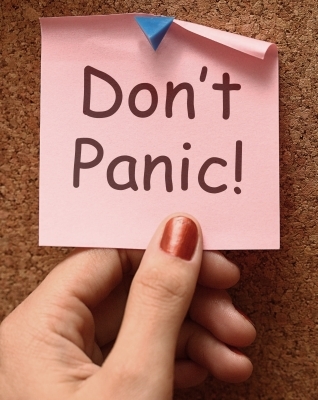 Take control of your bar exam fears by planning for your worst-case scenarios in advance. That way, when the exam begins, you can just focus on doing your best. Good luck to all of you taking the bar exam next week!